ALL RACQUET SPORTS, NO LIMITS! From beginners to pros, we have the tools to get you to the next level of your racquet sports career. Whether you play NYC tennis, are visiting for the US Open, or need squash, badminton or table tennis equipment, we've got you covered. 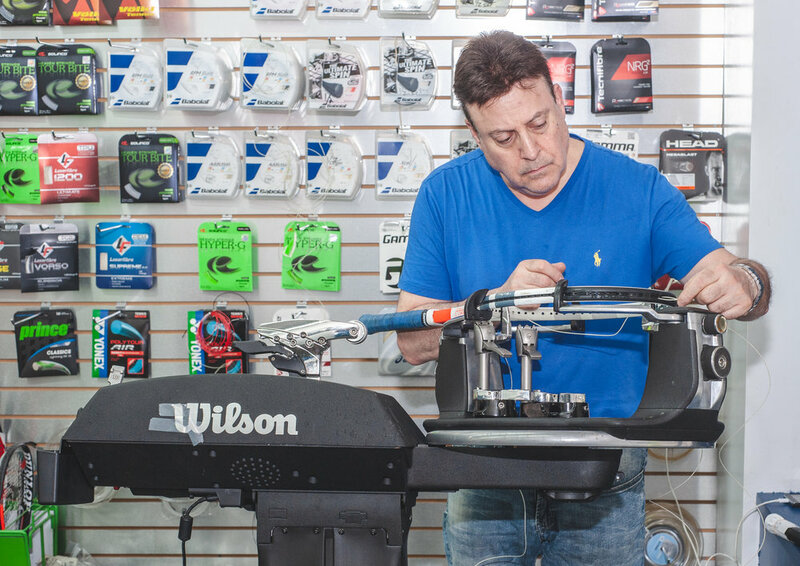 We also offer racquet stringing services, and are rated NYC’s top tennis store on Yelp!. Our customer service and knowledge go above and beyond your typical sporting goods store - we promise to deliver the best service and equipment at the best price. With a host of services, an incredible racquet selection and three area locations, NYC Racquet Sports has you covered. Our knowledgable staff at NYC Racquet Sports is here to assist you. You can feel confident that everyone who works in our stores has the tennis, squash, badminton and table tennis product knowledge to advise you on the latest gear. Our Racquet Courier service is one of a kind, catering to busy Manhattanite racquet sport players. In true urban fashion, our service offers pick-up and delivery from 110th Street to Battery Park City, from the Hudson River to the East River for just $8.00 each way! Choosing the perfect racquet can be difficult. But our "try before you buy" demo program will help you find the racquet that suits your needs. We offer many of the top tennis brands, including Babalot, Head, Dunlop and Wilson. Don't pay for parking. Let us string your racquet while you wait in the comfort of your vehicle, or while you shop in the store. Call for availability. NYC Racquet Sports offers same-day racquet stringing at all of our locations. We try to accommodate everyone's needs so that you can drop off your racquet in the morning and pick it up later that same day. After 13 years of business, the NTC Pro Shop closed on December 31, 2018. We want to thank all of our loyal customers for the many years of support. We hope you will visit us at one of our other locations, NYC Racquet Sports or Grand Central Racquet.